Please note: The following text and photos are provided by ZR2Steve and are modifications that he has made to his own 2001 Toyota Tacoma. This article is not intended to suggest that anyone else should add this modification to any vehicle, nor is it intended to be comprehensive instruction. The owner of this website, and it's contributors and editors cannot be held responsible for any damage done to any persons or property due to modifications as shown herein. If you wish to perform or install such modifications as illustrated on this website, you must do so at your own risk. 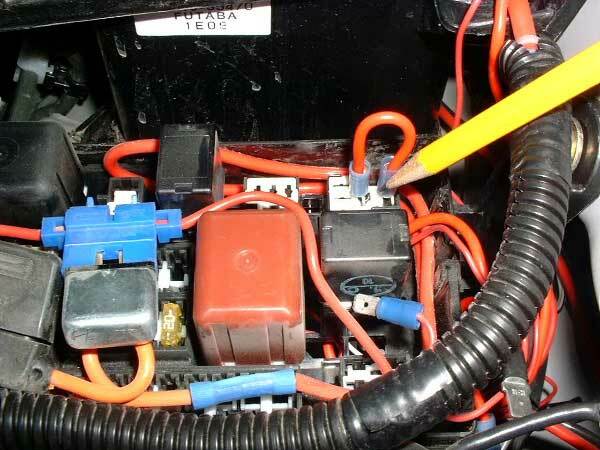 This modification will enable the power outlets for your accessories to have full time power even when the ignition is turned off. 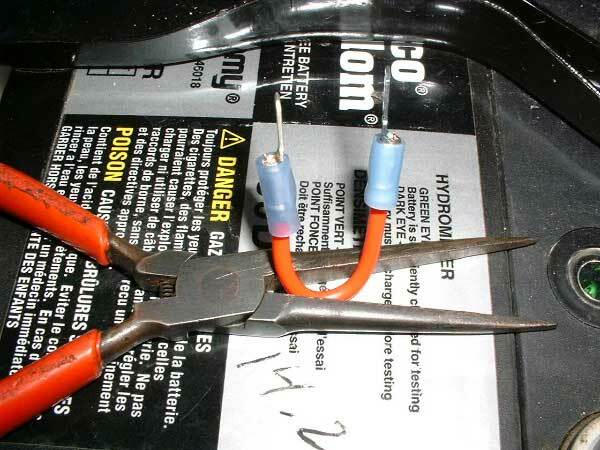 This can be useful if you have a CB radio with a re-set feature, or a cell phone charger, map lights etc. Once completed, you must be careful not to leave any devices running or charging for too long and drain your battery. 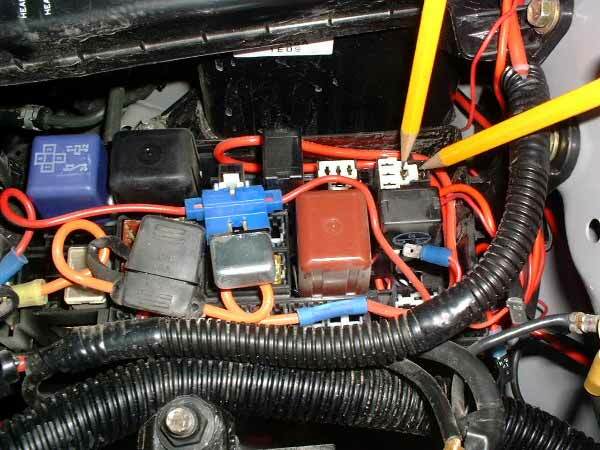 Look at the fuse box under the hood, the cover shows the location of the fuses, relays, etc marked on the cover. You will see a block marked "PWR OUTLET". Now remove the cover and locate that relay, using the the map on the cover. Remove that relay, it pulls up, but may need to be wiggled. If you look at the socket there are 4 plugs, 2 small & 2 large plugs. The large plugs use standard male crimp connectors, those are the two you want to jump. Now make a short, (appox 2") wire with two stardard flat male crimp connectors and plug this wire into the only two socket that stardard connectors will fit into, where the removed relay was. Here is the jumper installed. If you would like to check the work before you turn on the key that is OK. Put the jumper in and BEFORE you turn on the key, see if your sockets have power. Another thing you may want to verify - is that the line is still fused. To test, pull the stock fuse, and see if the outlets still have power. If they don't, then the line is still fused. You may want to keep the unused relay in a 35mm film canister for a spare. The canister will keep it in good condition and is easily stored in the truck somewhere.